The traditional annual fire fighters event @ Sioen Industries in its headquarters in Ardooie, again is a major success. The overall theme of the event, “Operational rescue and support of the rescuer” is expressed throughout the presentations and in various working groups, in collaboration with several other partners. 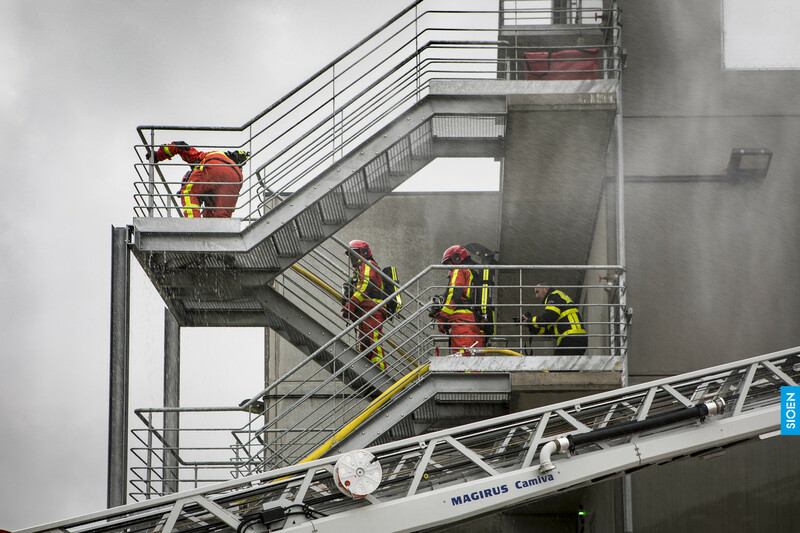 At the second day, the firemen and women, moved for the fire tests and demos to WOBRA in Zedelgem (provincial training centre for security). The 150 firefighters were divided in 11 eleven groups for different real fire tests and workshops. Each group assists to a 20 minutes demo given by the different partners participating at the firefighters days. 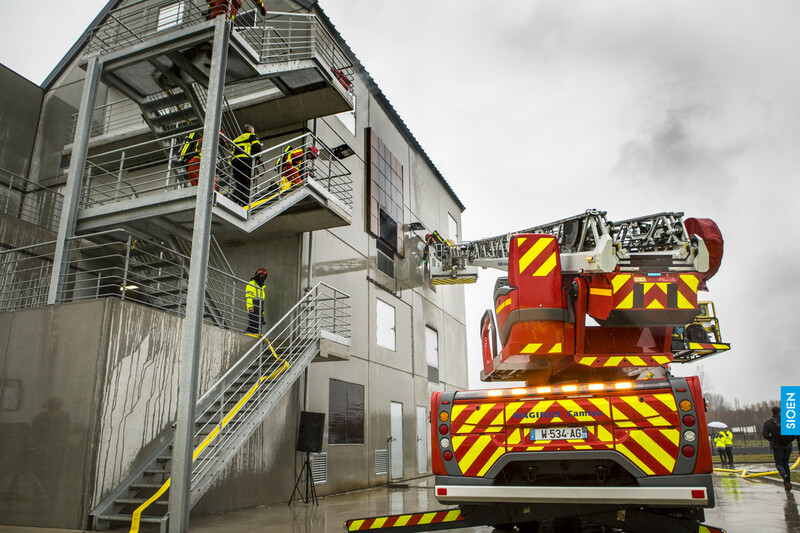 In the first workshop Magirus presents their latest fire engines on which the firefighters can test the turntable ladders. For the second workshop, the firefighters get introduced to the MSA helmets with integrated communication system. Technodron Robotics lets the participant test their intervention robots. In the fourth workshop, JCM presents their latest thermic cameras that participants can test in a dark room. The firefighters also test the newest stretchers of Courant Vertical Living during a rescue operation. SFE gives a workshop with an intervention suitcase disactivating all the electronic devices during a rescue operation. 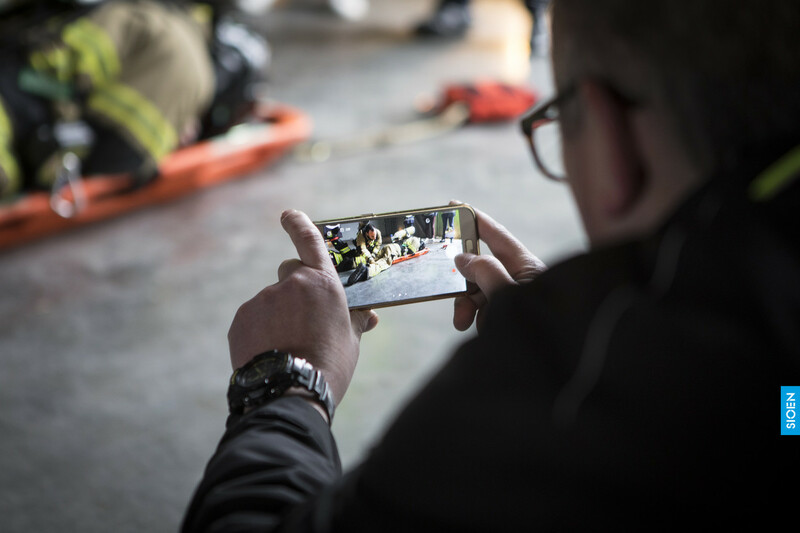 Scorpe Technologies gives the firefighters the opportunity to test different fire hoses. Shark Robotics gives a demo with terrestrial robots equipped with fire hoses. All the firefighters get the possibility to test the new gloves of Rostaing. The workshop on decontamination of firefighters boots is organised by Boche. Dupont gives a conference on protection against contamination during interventions. To close this day, the staff of Soldats du Feu Magazine gives a specular fire show. Today, the firefighters go back to Ardooie for the final phase of the conference. The whole event was in close collaboration with Soldat du Feu magazine and all the above mentioned partners.